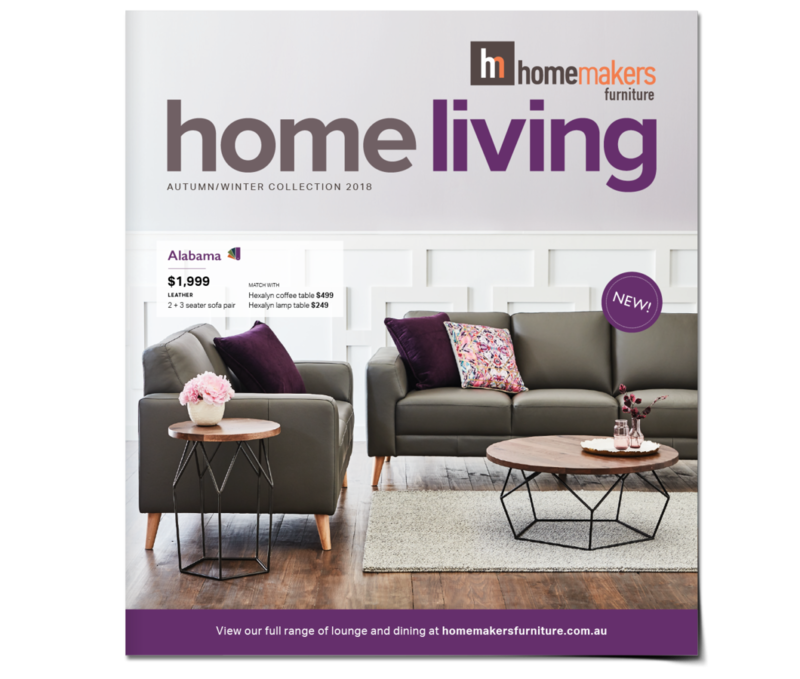 Homemakers Furniture wanted to refresh its catalogue design to showcase their products in a way that was modern and accessible. 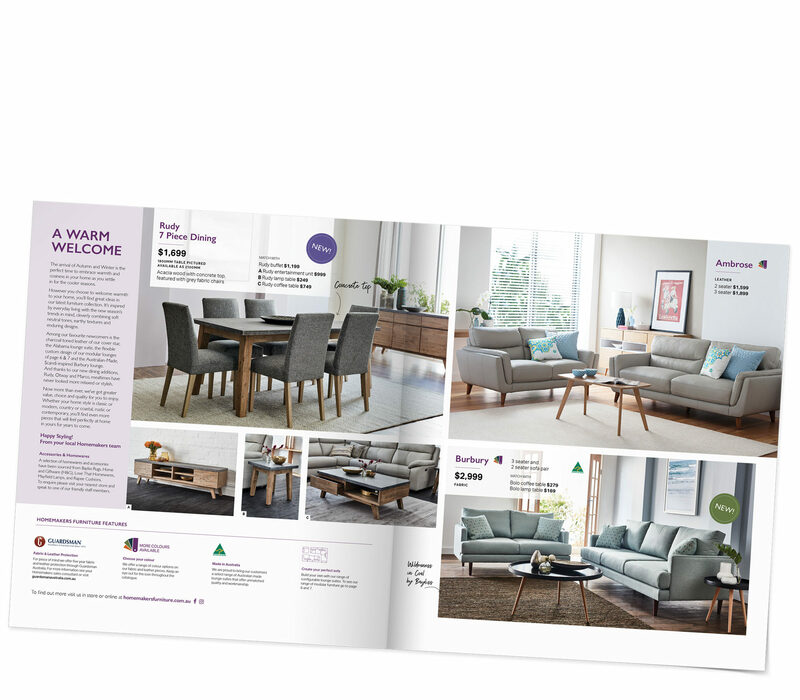 Drawing on customer insights, Kinc’s redesign strategy was to balance the catalogue with a mix of products, sales messaging and styling tips to show readers how various pieces could work in their own home. 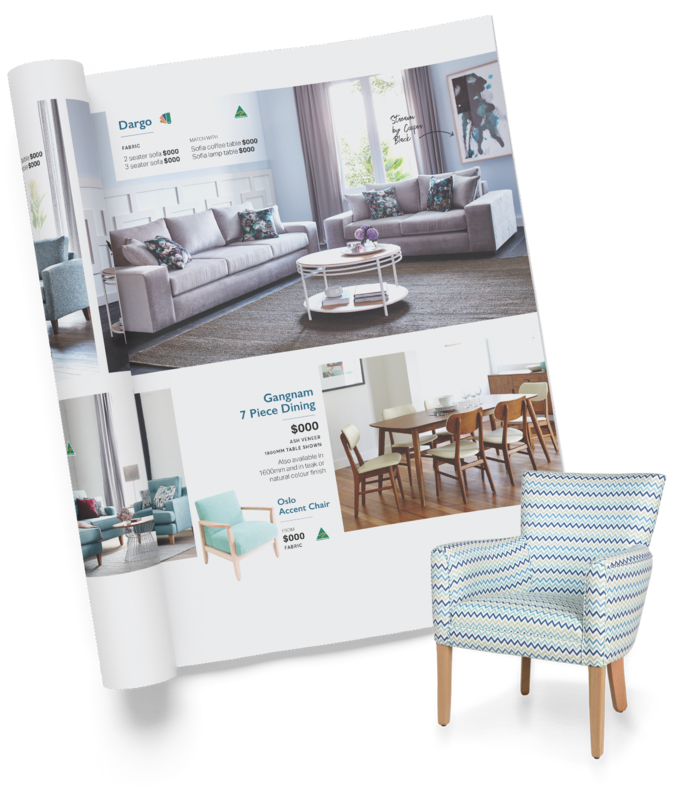 The result is an aspirational and accessible catalogue that draws readers in with a great product selection and useful styling information. 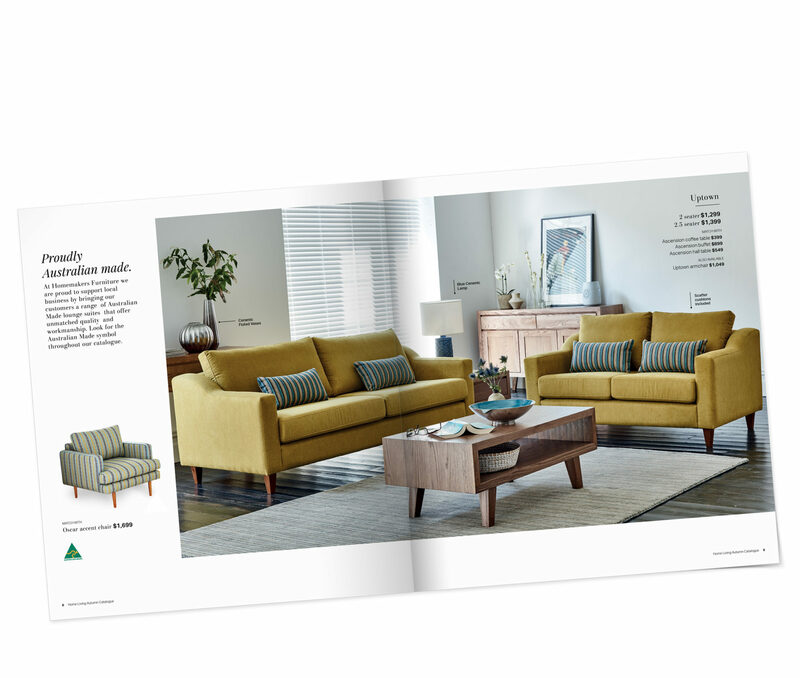 Sales increase of member stores for catalogue buy-in. 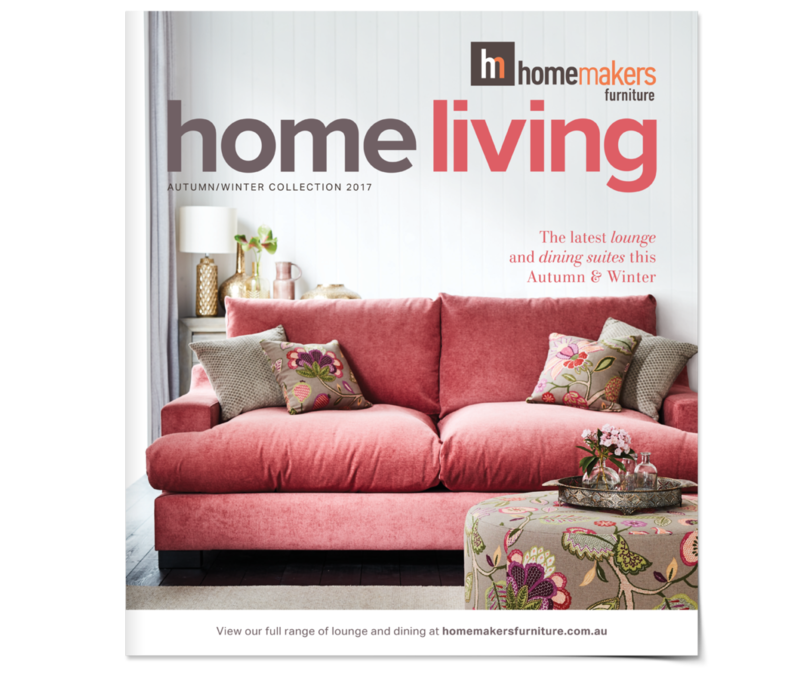 Finalist Australian Catalogue Awards (Furniture, Bedding and Manchester), 2016 & 2017. 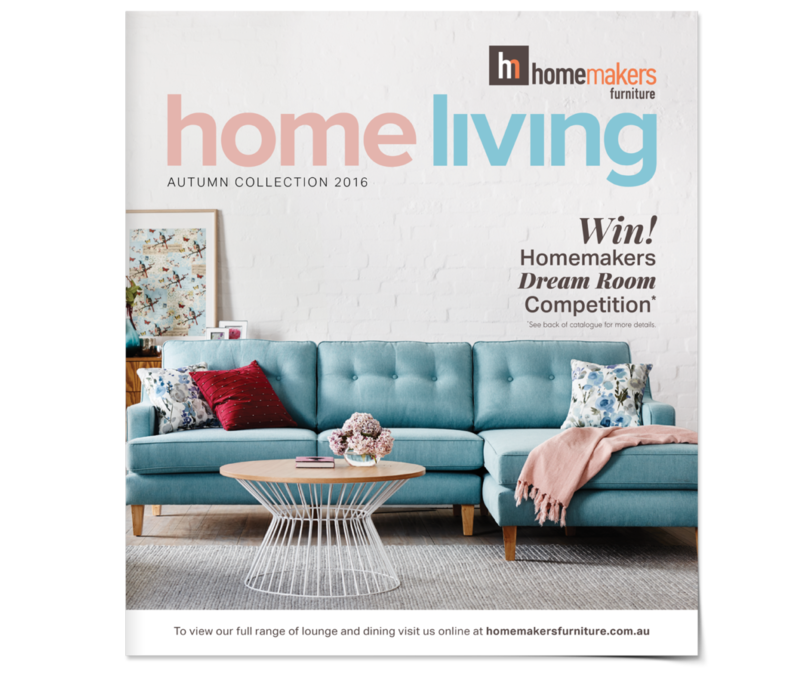 Winner (Silver) in the Melbourne Design Awards, 2015. "Kinc has been our design team since 2012 and we honestly couldn’t be happier with the work produced for both our brands. The team are true professionals — their enthusiasm, creativity and dedication are second to none. While I’m sure we often challenge them with tight deadlines and last minute changes, nothing is ever too much hassle. It’s a true collaborative partnership that we value greatly."